Knowledge Base/General/News & Announcements/Sampression Lite Version 1.5.2 is released. Sampression Lite has been updated. 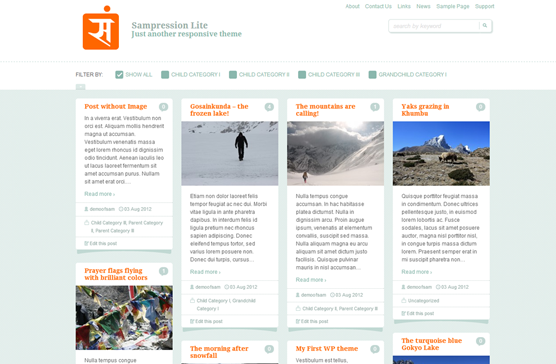 Please follow this link https://wordpress.org/themes/sampression-lite and download the Sampression Lite Version 1.5.2 today!